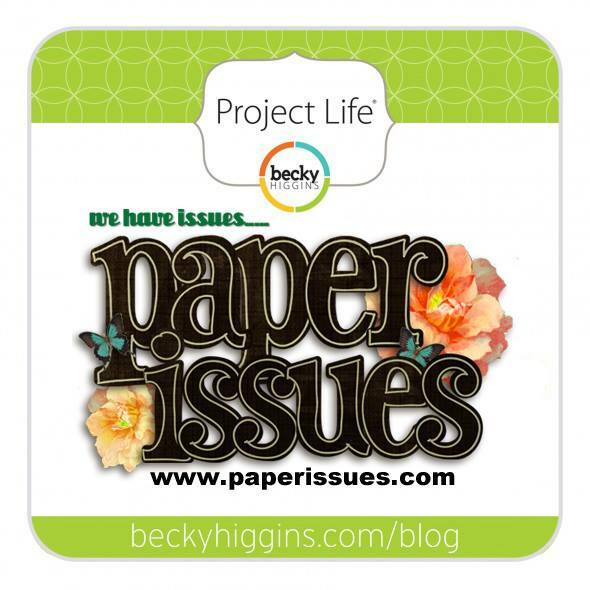 Did you know that Becky Higgins is sponsoring the current issue over at Paper Issues? We're definitely excited about it. 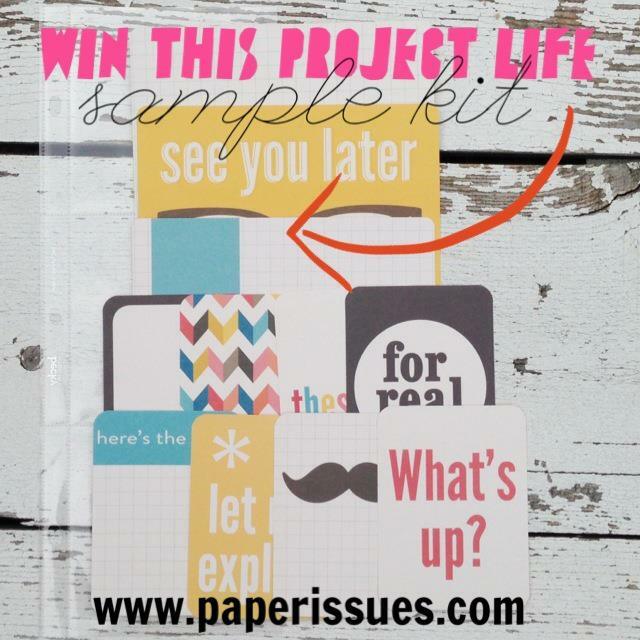 Becky is giving away a Project Life Core Kit. Check out the Paper Issues blog for all of the details. 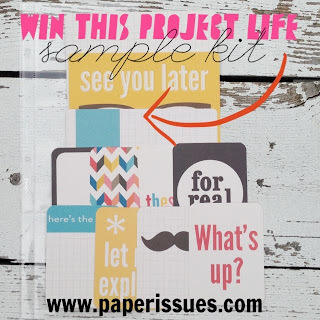 There are also chances to win one of Becky's Project Life sample kits. I recently did my very first Project Life page for a design team assignment. I used August's creative kit from My Creative Scrapbook. It's a two page spread with a traditional 12x12 on the left and a Becky Higgins Project Life page protector on the right. It may have been my first, but it definitely won't be my last! This is gorgeous!! LOVING the papers you used and loveeeeeeee the PL design!!! Love your page. I'm always in awe of how people can do two page layouts yours look great. This is just wonderful! I love the contrast with the bright white and bright colors on kraft! I love the yellow bow! The PL-style is something I need to try really soon! Thanks for the inspiration! ooooo I love how you did that and PL totally suits your style - Awesome pages!!! Looks awesome Lisa!! Love that you can mix ir up!! it came out really nice. I like combining the traditional, it always looks good. i love this take on PL! super fun! This is fabulous! Love your choices of patterns and colors! I love how you used a PL page as a supplement to your 12x12! Beautiful! Can't believe that was your first PL. You're a natural!! I love to do a 2-page spread like this! Love yours, so colorful and interesting. I like the way the regular 12 x 12 matches so well with the PL spread. 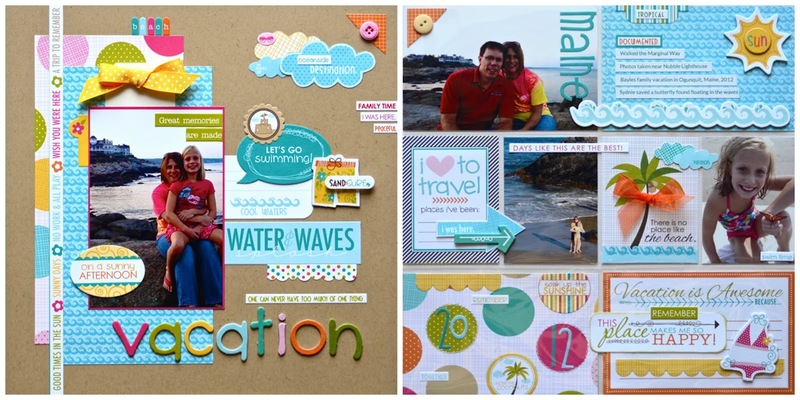 Great, summery pages! Oh my this is just awesome and amazing! Look at you getting your PL on! Excellent take on PL, Lisa. Maybe even I could do it!! Love the idea of one 'proper' page and then all the PL pockets on the other side.